Ichirin is Japanese for "wheel", the base form for this series. 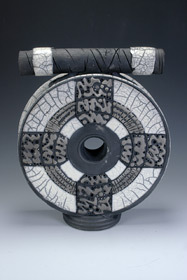 Celtic cross inspired designs are made with slip trails and incisions using various found objects. 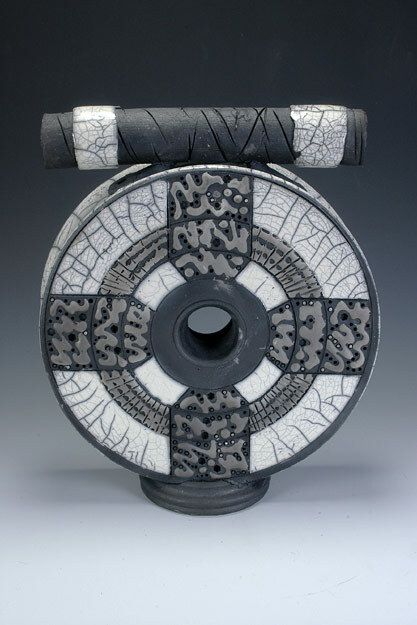 Each piece combines wheel thrown, slab, hand built, and extruded elements, and are very time intensive to make.